New mascaras seem to launch into the shops every week, but the latest release from Bourjois seems to be the one that everyone's currently raving about. Always eager to experiment and put hype claims to the test, I obviously had to try it out myself. 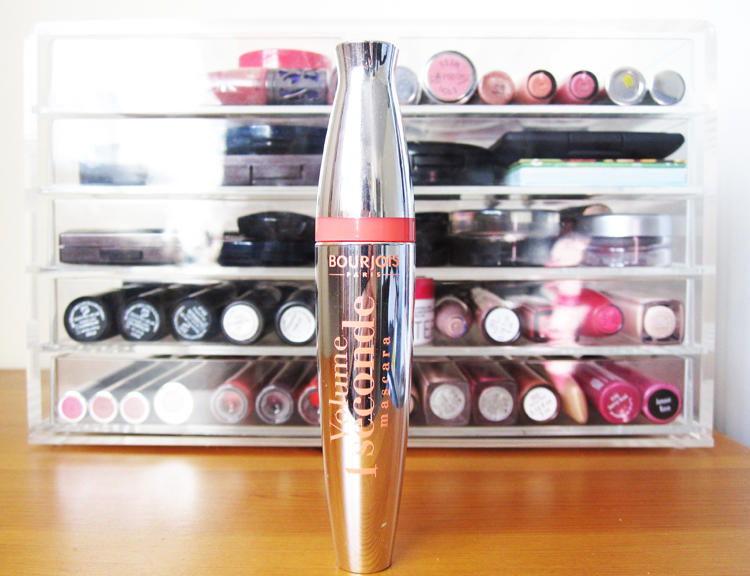 The outer packaging of Bourjois's Volume 1 Seconde Mascara is mirror-shiny chrome with bright coral lettering and looks positively chic in your makeup bag. 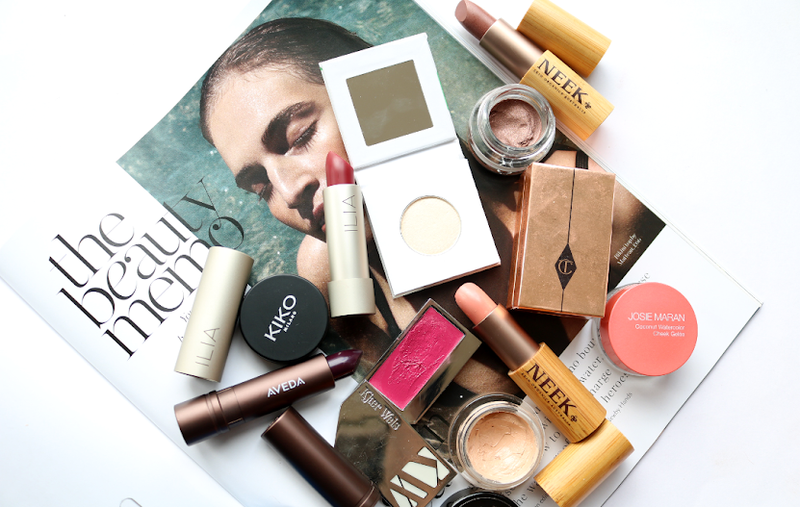 But let's face it, when it comes to mascaras, it's all about the brush and formula. And this one certainly has an interesting looking brush! I know it's been said by plenty of bloggers before me, but this mascara has BALLS! 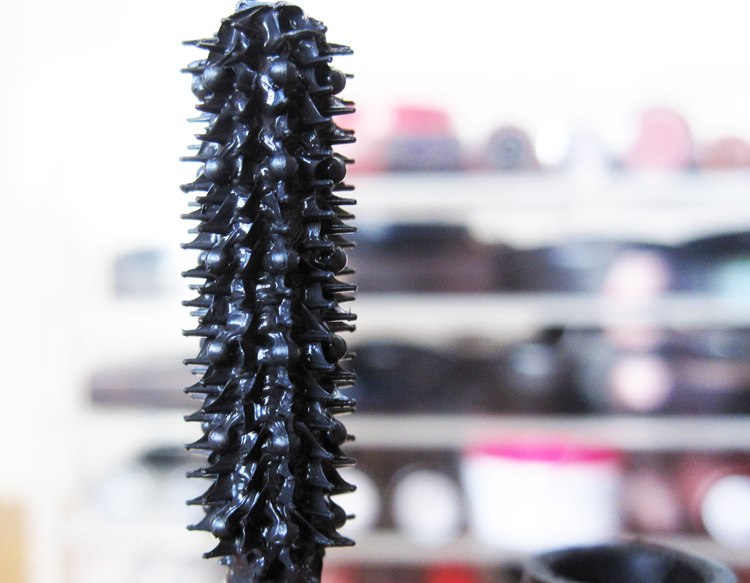 Intertwined between the straight rubber bristles are 'wraparound spheres' (or balls to you and me), with the design being based around a hairbrush. The wand itself is also flexible and the unique shape really does wrap around the lashes and coats them all evenly with minimum clumping. The flexibility is a little tricky to work with at first, but quickly becomes easier after a little practice. 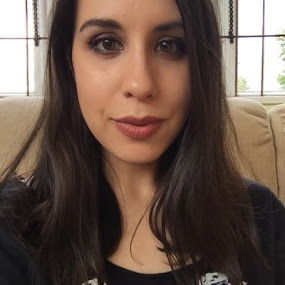 As you can see from the photo above, the Bourjois 1 Second Mascara delivers a good level of black pigmentation, and the formula didn't smudge or flake all day which is pretty impressive in this heat! 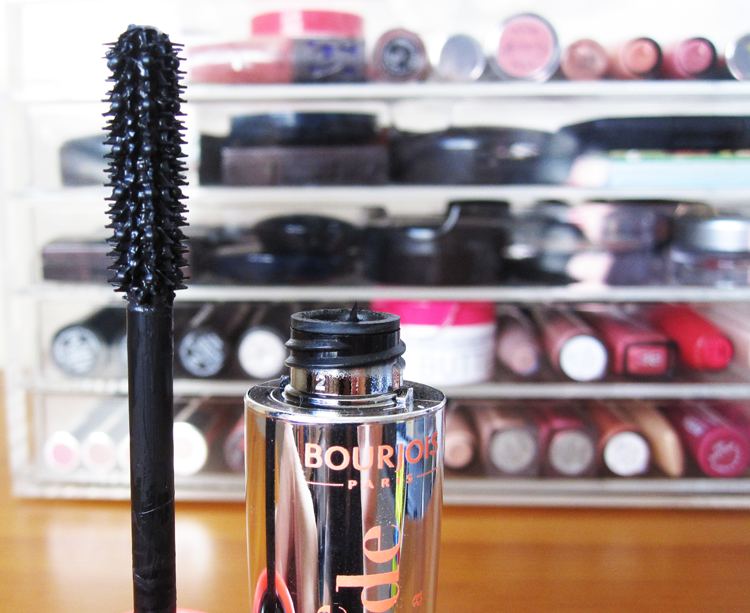 I think that it lengthens more than it volumises, so for me, it's a great everyday mascara. Bourjois 1 Seconde Mascara* is priced at £9.99 and available from Boots (currently on 3 for 2) & Superdrug (currently on offer for £7.99). I sort of overlooked this as I really don't like the packaging but the affect it has had on your lashes makes me want to give it a go for sure! Your lashes are so full and long ! Hahaha BALLS! 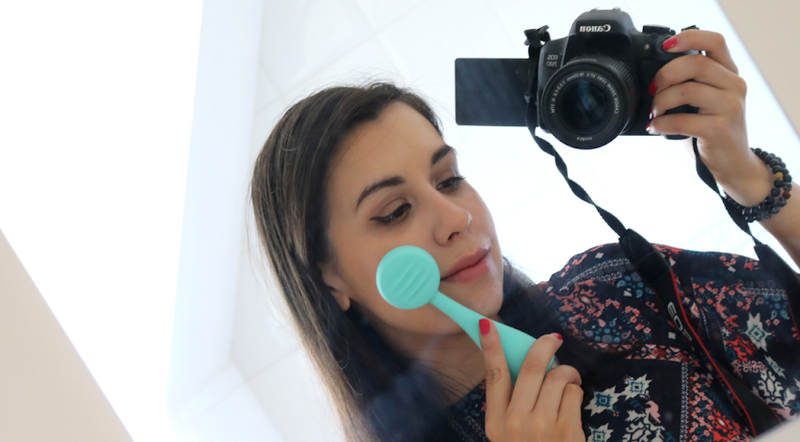 I really liked this when I first got it but there are times where things can get a little clumpy! I really like the look of this mascara! 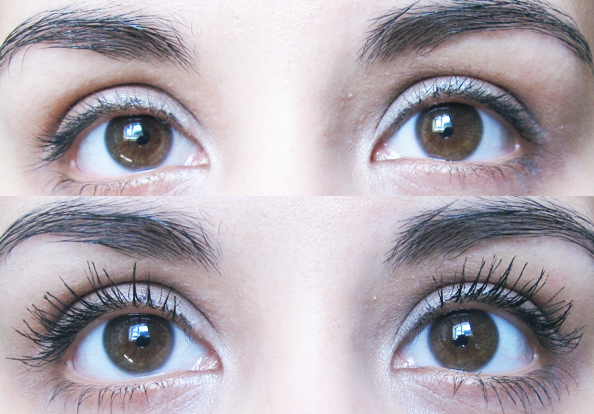 You should try Seventeen doll’d up mascara! It’s my personal favourite!